Since 1960, Mt. Brighton has been a favorite family winter destination for snowsports in the Midwest. 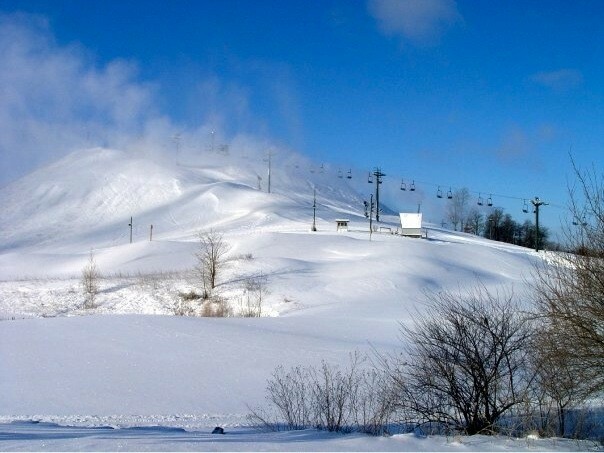 Easily accessible for skiers and riders from Detroit, Lansing, Ann Arbor, and Northwest Ohio, the ski area offers 26 trails spread over 130 acres of skiable terrain. Having joined the family of Vail Resorts, Mt. Brighton exhibits world class improvements including new chairlifts that feature EpicMix Technology, enhanced learning terrain and a children's ski and ride school center, new innovative terrain parks and a powerful new snowmaking system. If you are looking to satiate your hunger at Mt. Brighton, you have great new options. The Ski Hill grill offers quick-service cafeteria style dining where there's a large fireplace to cozy up to and multiple TVs to watch sporting events on. Bruhn's Bar sits at the south end of Ski Hill Grill and offers separate pub fare with sit-down table service and a full stocked bar. For those who want a casual fine dining experience with locally sourced products and a robust draft beer line-up featuring Michigan micro-brews, dine at the Ore Mountain Grill, which overlooks the mountain in the winter and the ninth green in the summer.